Heat oven to 400°F. 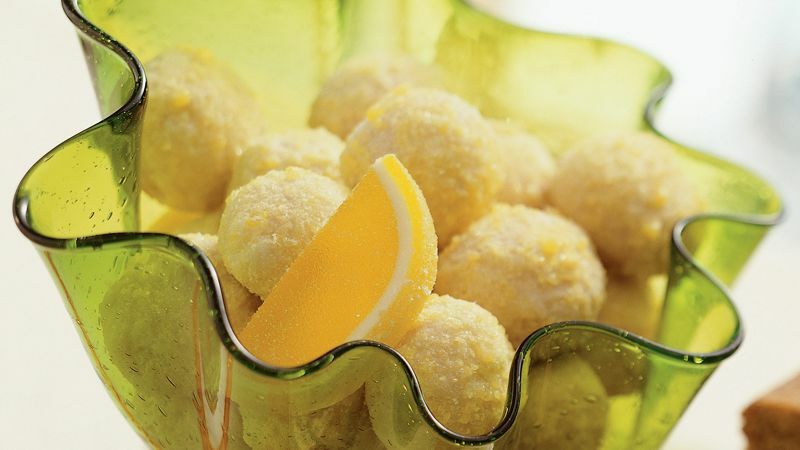 Crush lemon drops in food processor or blender. In large bowl, beat butter, 1/2 cup powdered sugar, the lemon peel and lemon extract with electric mixer on medium speed, or mix with spoon. Stir in flour, 1/4 cup of the crushed lemon drops and the salt. Shape dough into 1-inch balls. Place about 2 inches apart on ungreased cookie sheet. Bake cookies 8 to 9 minutes or until set but not brown. Immediately remove from cookie sheet; roll in powdered sugar. Cool 10 minutes; roll in remaining crushed lemon drops. Cool completely on wire rack, about 30 minutes. Reroll in crushed lemon drops if desired. Make these cookies even more special by stacking them in a pretty vase on top of lemon drops.